Now buy Birthday gifts from Giftmyemotions and get upto 30% discount. Choose from Flowers, Cakes, Personalized products, Combo Gifts, Flowers with Cakes, Chocolates and more. Coupon code is not required. If you want to give a creative gift, Gift My Emotion is the place to go. This online store offers a range of attractive items for all your gifting needs. They launched in October 2016 with the aim of making gifting as delightful as receiving gifts. Their vast collection of gifting products include imported or homemade chocolate gift hampers, clutches, personalised mugs and keychains, fresh cakes and flowers, paintings, jewellery, and many more products, both fashionable and funky. Now, you can pick the perfect gift for your loved ones, no matter what the occasion while keeping your budget in check with Zingoy. Simply, buy your gifts from Gift My Emotion via Zingoy and earn huge cashback on all your gift shopping. 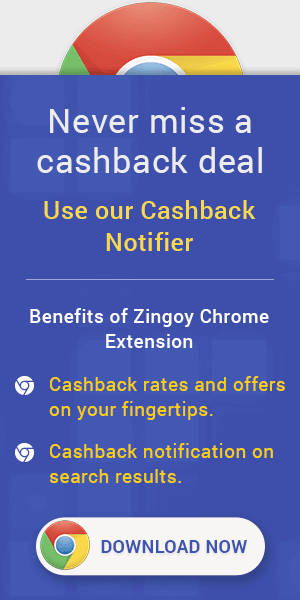 Also, get your friends to buy gifts for their friends using your Zingoy links of Gift My Emotion and earn more cashback.